With the Intel Core 2 Challenge PC Design contest deadline looming, tea-drinkers drank coffee, testers didn’t sleep, and boxes got packed in overdrive. This video, produced by BICOM, takes you behind the scenes, during the race to the finish, at the Connecticut company whose three PC designs, the HMS1, HMS7 and HMS8, made it into the Top Ten. 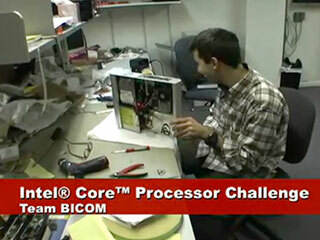 To see some of the designs that made it to the semi-finals in the competition, check out www.intelchallenge.com.